Upgrades in Pakistan’s road network, an integral part of the country’s development process, are crucial for boosting regional trade flows. It allows Pakistan to benefit from its position as a transit artery for goods passing through its Arabian Sea ports on the way to other countries in South and Central Asia, and to the People’s Republic of China. Although Pakistan first joined the CAREC Program a decade after its inception, the government had been working along similar lines to expand trade, promote business development, and strengthen cooperation with its neighbors. The CAREC 2020 Strategic Framework is aligned with the objectives of Pakistan’s national development strategy, Vision 2030. 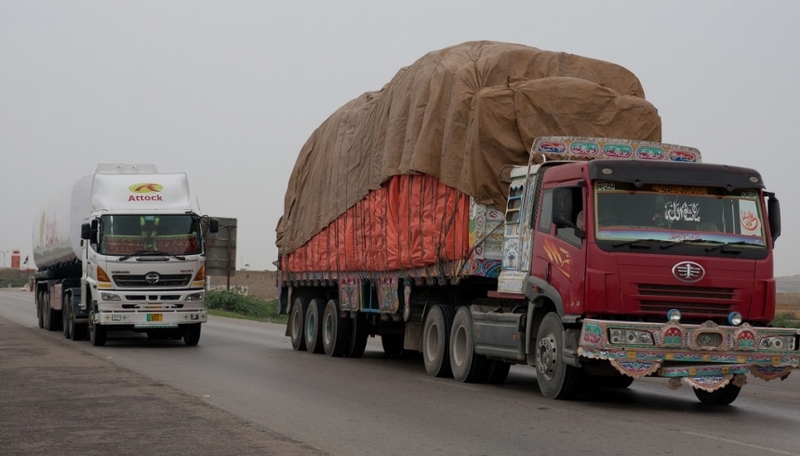 The objective of the Second Trade and Transport Facilitation Project is to improve performance of trade and transport logistics by facilitating the implementation of the National Trade Corridor Improvement Program and the simplification and modernization of Pakistan’s international trade practices and procedures. This component builds on the results achieved by the first trade and transport facilitation project closed in 2006, extending efforts to streamline and integrate trade data exchange and official controls, sustain public/private sector collaborative institutional framework and strengthen the domestic logistic industry. The government is already upgrading Pakistan’s flagship route, the National Trade Corridor Highway, to bring it up to international standards. It has implemented trade facilitation measures, including custom reforms and the establishment of border terminals. Industrial and business development zones, along with logistics hubs, are envisaged along the highway, so that the private sector can generate trade traffic. In July 2012, Pakistan and Afghanistan agreed to extend the Afghanistan–Pakistan Trade Transit Agreement (APTTA) to Tajikistan, in what will be the first step toward the establishment of a North–South trade corridor. The APTTA will eventually include the Kyrgyz Republic, Turkmenistan, and Uzbekistan, after the initiation of the first links. Kazakhstan, as well as states with sophisticated rail and motorway links with the Russian Federation, may also be considered for inclusion in the APTTA.